Importing goods in the U.K. The import duty and taxes payable on goods bought on our site is not included in the shipping charge stated on the site. The duties and taxes are calculated on the value of the imported goods plus the cost of importing them (shipping and insurance). The duty rates applied to imports into the United Kingdom typically range between 0% and 17%. The average for these types of parts is around 6% right now. 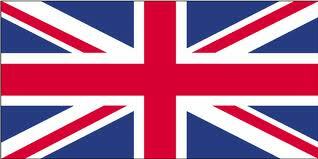 The standard VAT rate for importing items into the United Kingdom is 20%. VAT is calculated on the value of the goods, plus the international shipping costs and insurance, plus any import duty due. Duty is not charged, but VAT may be charged, if either the total value of the goods (not including shipping charges or insurance) does not exceed £135 or the amount of duty payable on any given item, does not exceed £9. Neither duty nor VAT is payable if the total value of the goods (not including shipping charges or insurance) does not exceed £15.